Question: Why am I not eating this? Answer: You are not staying at The Carlisle House Bed and Breakfast! Chef Tim has been at it again and he has not disappointed. 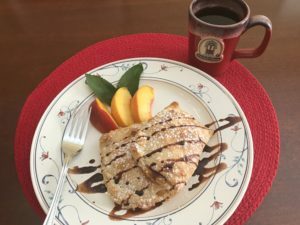 Our guests this morning got to try this brand new recipe that they then named Peach Carlisle. 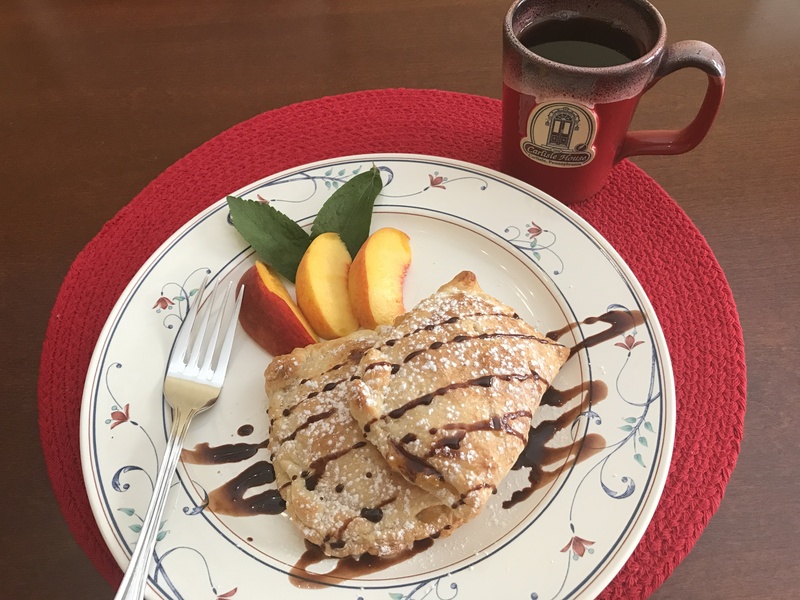 It is a flaky puff pastry dough that has been rolled out and filled with a combination of fresh Loring peaches from Peter’s Orchards, and cream cheese with just enough cinnamon and fresh grated nutmeg to make you want another bite. It is peaches and cream like you have never tasted before. They also enjoyed our Greek Quiche (one of 17 International recipes, but that is a different blog) and a crisp and sweet watermelon! Of course, they left with a full stomach and a smile on their faces. Come to Carlisle House Bed and Breakfast to get a taste for yourself!